Designed for smaller properties, such as hotels with fewer than 150 rooms, the Nomadix AG 2400 Access Gateway supports up to 300 simultaneous mobile devices. Equipped with a range of bandwidth management tools and full PMS interface capabilities, the AG 2400 ensures an optimal user experience. 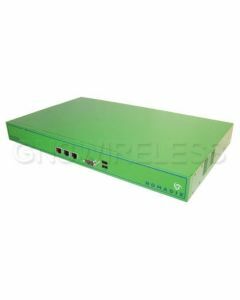 The AG 5900 is a next generation, high-performance Internet access gateway that enables the creation of a public Internet access network. Designed with scalability in mind to accommodate medium to large sized venues — from hotels to airports to stadiums and convention centers — the AG 5900 features the flexibility to support from 500 up to 8,000 simultaneous devices, and up to tens of thousands of devices when using our clustering feature. With a throughput of 1.5 gigabits per second, the AG 5900 can meet growing bandwidth demands while keeping Internet traffic flowing. 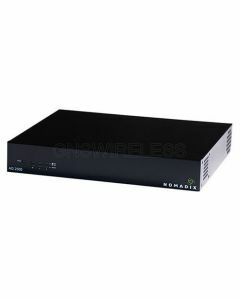 The Nomadix AG 5800 access gateway and newer AG5900 Access gateway comes equipped with a variety of bandwidth management tools, ensuring that the quality of the network connection is optimum and that each user gets fair access to bandwidth. Bandwidth can be managed by group, subscriber or device, or a combination of all three, and includes data offloading. The AG 5800 is equipped to operate at near wire speed and also offers new NSE features with increased computational intensity. Nomadix access gateways have a variety of add on options such as license and support renewals, high availability options, load balancing module options and hospitality PMS module options. Per Device Bandwidth Control - Per device control of bandwidth increases the ability of visitors to access the Internet and uses the bandwidth that is available, without a small group of users hogging the existing bandwidth. Bandwidth caps allow for a balanced utilization. Nomadix access gateways can group specific devices together under a single bandwidth cap – for instance, a single user with multiple devices is given a single umbrella cap for all the devices. Caps can be defined and applied flexibility to create tiered pricing models that allow you to monetize the bandwidth provided to your visitors. In addition, individual users can self provision and determine if they would like a larger amount of available bandwidth. Per Application Bandwidth Control - Per application control of bandwidth involves managing the traffic level – in other words, what are the devices accessing the network doing? What sites are they visiting? What type of content are they accessing? Are they surfing the Web or streaming movies? All these questions affect bandwidth. The NITO uses a layer 7 deep packet inspection approach to identify and monitor the network to collect information needed to create detailed reports of user activity. Once armed with this information, NITO allows you to easily set limits to specific applications to provide a better user experience for all visitors. The Nomadix Internet Traffic Optimizer (NITO) is a powerful high speed and cost-effective appliance designed to give you more from your existing bandwidth. With deep packet inspection capabilities and advanced networking techniques, NITO identifies the type of traffic and will then maximize/prioritize traffic as needed. 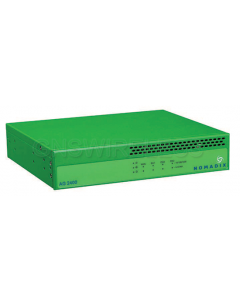 This type of access gateway provided by Nomadix is useful for broad network based bandwidth control and user administration. By placing an NSE-enabled device in the wireless hotSpot, the provider can deploy a cost effective service - from a CAPEX / OPEX perspective while keeping the edge of the network secure and maximizing multiple revenue streams through a variety billing, wholesale and roaming capabilities. Please contact us for more information. 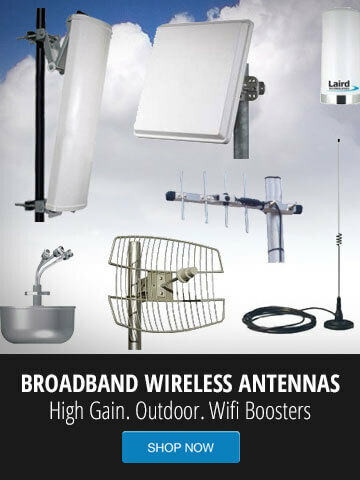 GNS Wireless can assist in designing, implementing, and installing your Nomadix access gateway. Please contact our technical support or sales department today with questions on your hotspot gateway.